What are the people of Bandicoot, Missouri going to do? The year is 1998 and the local paper has just run an article about a New Age religious organization from San Francisco. It seems that this group has just bought a large parcel of land near town. Led by Duke Tanner, a former bull rider and Cadillac salesman, this group is suspected by some to be a cult. After reading the brief piece, many people are getting nervous. Can these out-of-towners be stopped? The opening of Vivian’s Song greets the reader with the above, and hints at the supposed cult’s neighbor, Senator Charles Wentworth, leading the fight to stop the invasion. Then the book takes an unexpected turn and brings the reader back several decades to the early life of the New Age group’s leaders, Duke Tanner and his wife Melody Birdsong. After a tour of duty in Viet Nam and then finishing college with a degree in business, Duke went on to become a top Cadillac salesman while also finding himself in a failed marriage. Taking up drinking and drugs to avoid the pain that was his life, Duke wandered aimlessly until he ran into (literally) Melody at an AA meeting. The two soon realized they were soul mates and continued their life journey together. Both Duke and Melody searched for spiritual fulfillment while at the same time, Duke was investing some inherited money very wisely. As his fortunes grew, so too did his wisdom in the financial world. Members of AA suggested he put his ideas on paper and soon Duke had a few hundred copies of Transformational Materialization. TransMet was a melding of Duke’s investing advice and spiritual beliefs and as Duke explained, “…I give people hope and belief in themselves. I show them how to create prosperity for themselves, however they define it.” (pg. 157) The AA members ate it up and bought all his books too. Soon Duke was producing more books, tapes and videos and his small fortune grew into a very big fortune. With the money the couple now had, they wanted to find a place to call their own, where followers of TransMet could meet. But where? Melody found the answer in a dream. Her dream guide, a beautiful bird named Vivian, came to her in a dream and said, “In a state of misery by the mother’s bosom you will discover a mystic source.” (pg. 83) Shortly thereafter, as Duke and Melody are traveling through Missouri, they find the spot Vivian alluded to and buy it. It is at this point that the story pops back to 1998. From here the story takes on a sort of battle quality, an us-against-them tone. Surprisingly, because the reader has come to know Melody and Duke quite well, and like them, with all their blemishes and yet, many good qualities, it is not the residents of Bandicoot, Missouri who will gain the reader's sympathy. As residents get more and more upset, basing their reasons on innuendo and rumors, it is clear that a battle is brewing between the two camps. Duke has no desire to fight, he and his group simply want to be left alone. But when he befriends Jimmy Hollingsworth, the son of a wealthy businessman with close ties to Senator Wentworth, the Senator feels he must fight back – with a smelly hog farm right next to Duke’s property. Things are going from bad to worse and are about to get downright dangerous. Vivian’s Song shows what happens when culture wars take on a life of their own and how quickly people forget to "love their neighbor." Within the first few pages, the reader is likely to think that Duke and his friends can only mean trouble for the sleepy town of Bandicoot, Missouri. But the author has taken it a step further by giving us an intimate look at the outsiders and challenges the reader to see things differently. While the ultra-conservative, Bible-thumping rednecks were a bit too stereotyped and over the top in places, the story still makes it clear that one should never pre-judge another person. As mentioned earlier, after quickly introducing the main premise of the story, that of outsiders coming to a small town, Vivian’s Song takes an unanticipated turn and delves into the main characters’ early lives. While a degree of background certainly helps build sympathy and understanding for these people, at almost 100 pages of text, it was far more information than needed. Add on another 50 pages leading up to the purchase of the land in Bandicoot, and setting characters in place and it’s clear that this story takes a while to get going. However, once everything is set in place, the action picks up and pages turn quickly as the reader will be eager to see who will win the battle of wills. 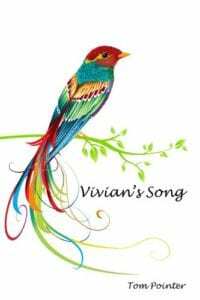 Quill says: While the first half of Vivian’s Song is a bit slow, the second half picks up nicely and makes for a good tale of goodhearted people dealing with bigotry in a small town.